Leading Manufacturer of ecostan flash dryer, four pass flash dryer, single pass flash dryer and double pass flash dryer from Ludhiana. 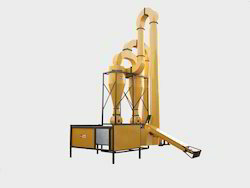 EcoStan new flash dryer is the best in class, it is available in the two different variants of single and double pass to cater the different type of wet material. Order Now! 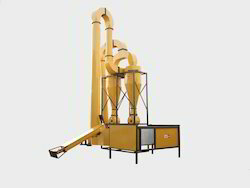 We are offering a Four Pass Flash Dryer to our clients. It consists of conveying equipment used to Drift Raw Material from feed end to the discharge end. Likewise, with the help of furnace heat is generated for drying. 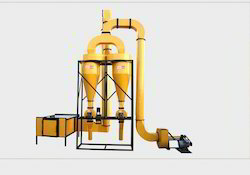 We offer Single Pass Flash Dryer to our clients. It consists of pneumatic conveying equipment used to drift raw material from feed end to the discharge end. Likewise, with the help of furnace heat is generated for drying. It is used suspension drying of granulated material such as saw dust, coir pith, bagasse which has moisture up to 35 to 40%. Moreover It consists of conveyors equipment to clean, sort, and transport raw material from feed point to the bin System is designed for injection of hot or humid air to dry or wet the material to a small extent during this process.